“Authorities” such as various provincial officials and most recently the medical officer for Chatham-Kent (London Free Press, July17) are either unaware of, or simply trivializing, one adverse health effect of wind turbines that no-one denies; that is sleep deprivation. Two, fairly recent studies, one in Sweden in 2007 and the other in The Netherlands in 2009, examined this annoyance factor in a thorough, scientific manner. In each study over 700 individuals were surveyed by standard questionnaire and sound pressure measurements were taken outside their dwellings. The authors of both studies found that the frequency of annoyance and sleep deprivation increased with the proximity to wind turbines and higher sound levels. All of the other symptoms can flow from the single effect of sleep deprivation. We should remember that, far from being trivial, sleep deprivation was a standard “enhanced interrogation” technique at Guantanamo Bay prison. Acoustic specialists tell us that low frequency noise can carry long distances (one kilometre or more), penetrate walls and windows, become magnified indoors, mask other sound frequencies and resonate within buildings. Outdoor sound pressure measurements may be of limited value. It is to be hoped that the proposed government study will not become another whitewash job. The following scientific papers relate to the above statements. Berglund B, Hassmen P, Job RFS. 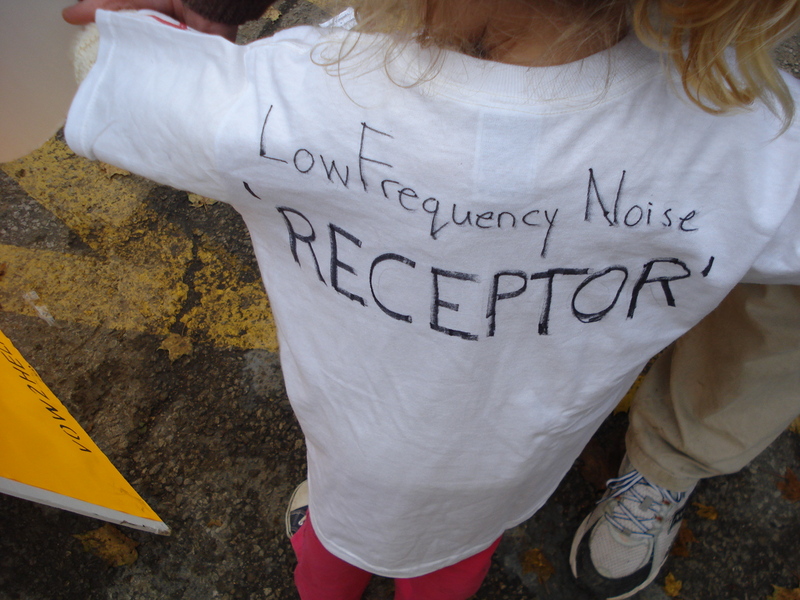 Sources and effects of low-frequency noise. J Acoust Soc Am 1996; 99:2985- 3002. Waye KP. Effects of low frequency noise on sleep. Noise Health 2004; 6: 87-91. Pedersen E, Persson WK. Wind turbine noise, annoyance and self-reported health and well-being in different living environments. Occup Environ Med 2007; 64: 480-6. Pedersen E, van den Berg F, Bakker R, Bouma J. Response to noise from modern wind farms in The Netherlands. J Acoust Soc Am 2009; 126: 634-43. Stansfeld SA. Noise, noise sensitivity and psychiatric disorder: epidemiological and psychophysiological studies. Psychol Med 1992; Suppl 22: 1-44. Posted on July 18, 2012, in Health, London Free Press, Noise. Bookmark the permalink. Leave a comment.